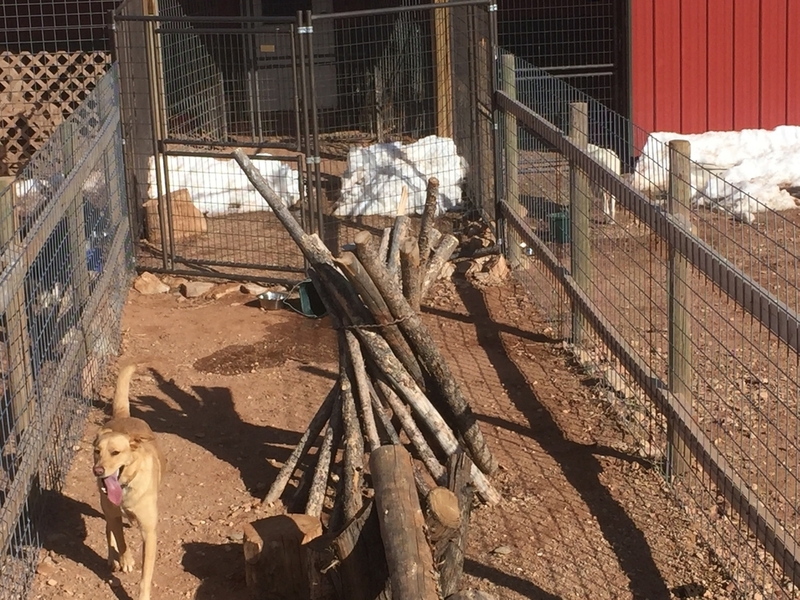 Large outdoor area with insulated dog house, our dryland "trees" and it is adjacent to the goat pen. We can open a gate so that dogs can be under the sheltered area #4 and enjoy the larger pen as well. Narrow play area, best for friendly social dogs that like to visit with adjacent pups. 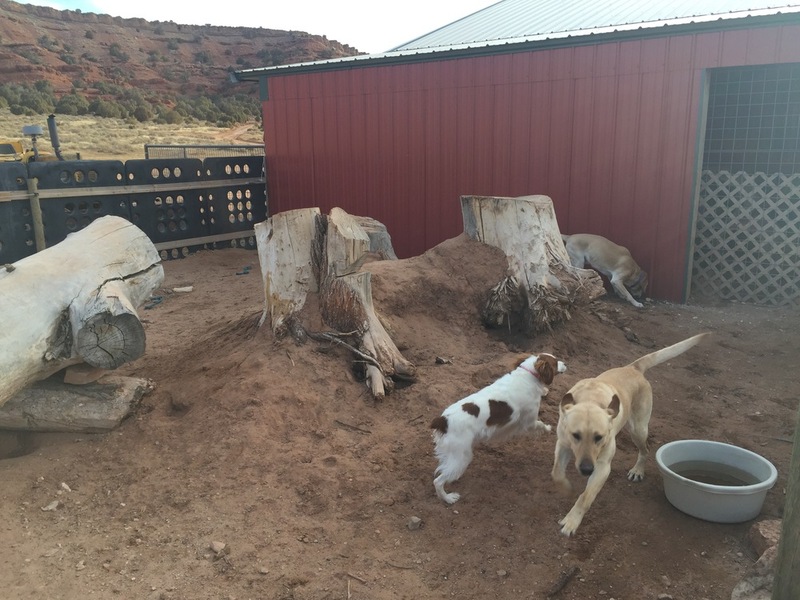 Large outdoor area with insulated dog house, dirt to dig into, and stumps and logs to jump on. Three sided, sheltered area for windy days or dogs that get sunburned...... When the weather cooperates, this area can be used to house larger dogs at night, rather than use the indoor kennels. Opens into Play Area #1. This is the favorite spot for very social pups that want to meet all the other boarders. Not many things to jump on, but lots of social interaction! This is our largest sheltered area, and is the favorite of our dogs that like to climb up high. Great place to hang out on a hot summer afternoon. This area can be used as an indoor/outdoor kennel, although the dogs are locked inside during the night. It is perfect for smaller dogs who feel safer being able to head back inside during the day. We use it for our Rat Terrier puppies when they are old enough to run around!